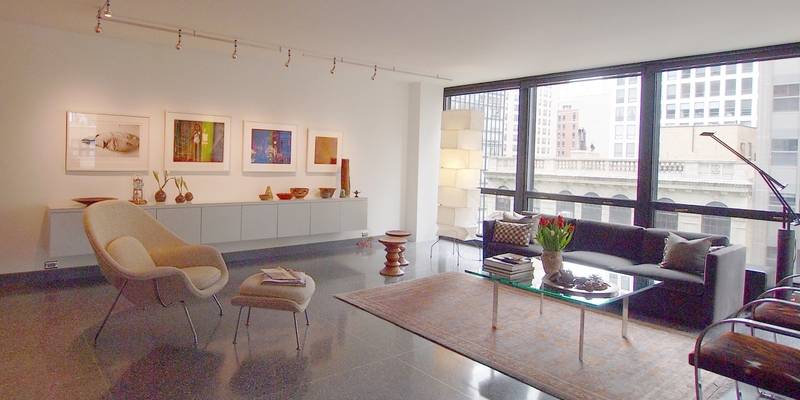 This home began as an original 2 bedroom apartment in the Mies designed 900 N Lake Shore Drive. 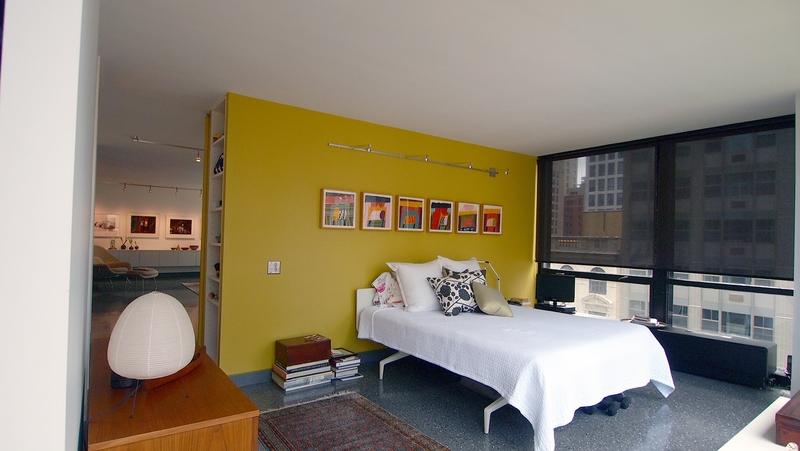 These units are compact delivering a highly efficient living experience in Chicago. 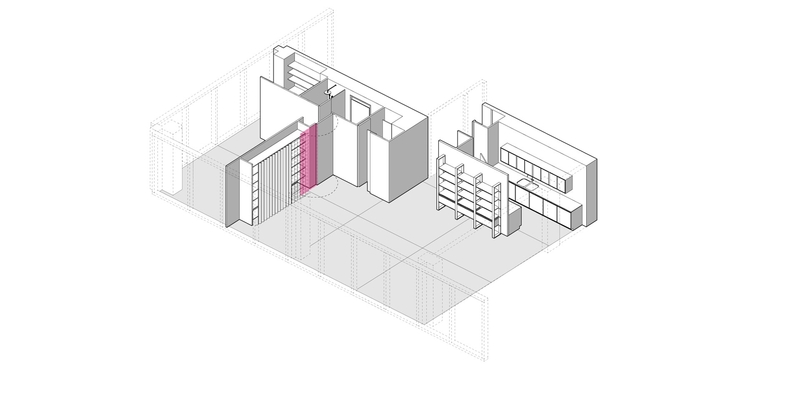 Our client desired a semi-enclosed kitchen with a dedicated dining space for entertaining, with a larger single bedroom for an urban professional accompanied by a larger single bathroom and ample storage. 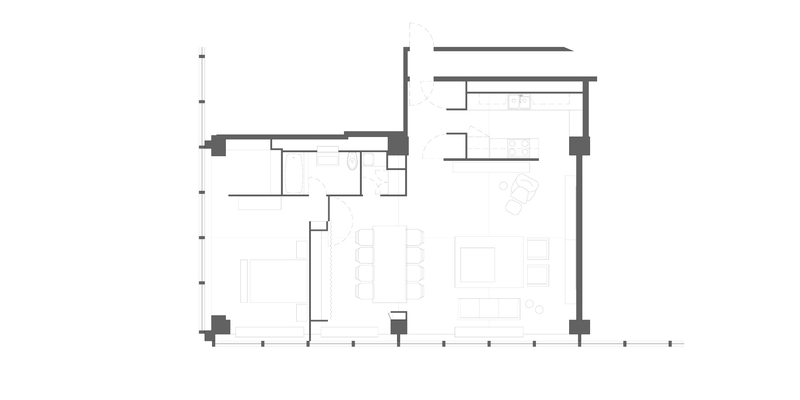 All attributes that the original apartment floorplan did deliver. We converted the 2nd bedroom to a dedicated dining space along with a thicker storage wall, the 2nd bathroom into a utility & storage room, while increasing the remaining bathroom just enough to make is comfortable for a contemporary lifestyle. And the kitchen was opened up to allow better access from 2 sides. 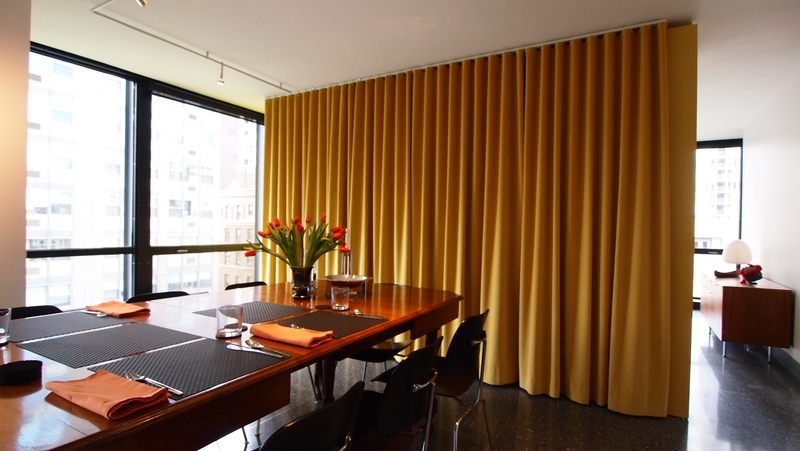 The result is a clean, contemporary urban apartment in a historic Chicago building.